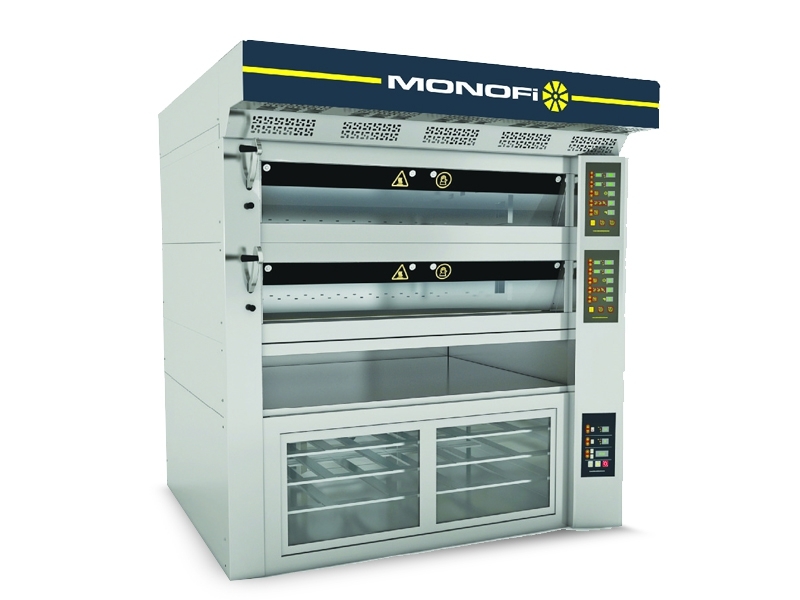 The major specifıcation of electrical deck oven is each deck can be operated independently. Temperature and the time of steam can be adjusted for each deck as per the request. Thus, it provides an opportunity to bake different sort of products in each deck. For being fermented there is a fermentation cabinet and its temperature and humidity can be adjusted. It is used with single deck also modular and according to need it can be added extra deck, chimney hood and fermentation cabinet. It provides low energy consumption. It can be moved by means of its vvheels. Optional stand is produced for the oven.